There’s no better way to bond than sharing laughter and conversations over tea. Give your friends a treat with the versatile Blood Orange and Lemon Cake tisanes. 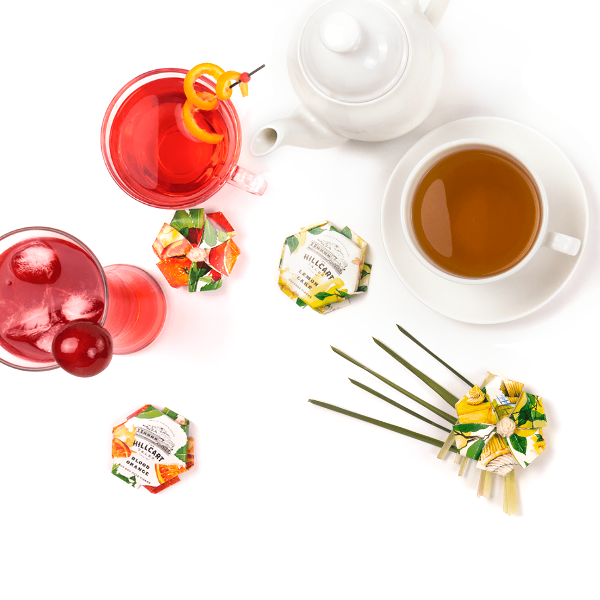 Served hot or cold, in porcelain cups or shot glasses, they’re the perfect drink for all occasions from high teas to house parties. Blended with hibiscus and rosehip, Blood Orangemakes for a vibrant cup. Rich, hearty and tangy, it is a perfect hot as well as cold brew.This blend creates an enchanting tea with delicate orange notes.With a full-bodied citrus base, the indulgent Lemon Cakeinfusion gives fresh hints of orange leaf and lemongrass. Notes of sweet lemon complement a decadent touch of creaminess and give the flavour of a light lemon cake speckled with sweet coconut and topped with a creamy lemon icing. An expressive blend of apple and hibiscus with a deliciously creamy aftertaste.